Could this mean a next-gen port, or a different superhero game altogether? 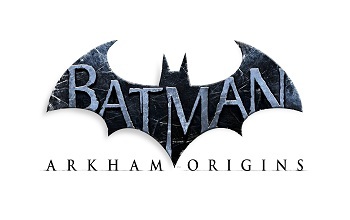 If you have 10 or more years of design experience, have shipped at least 1-3 titles as Design Lead or Creative Director, and - most important, this - are an expert in next-generation AAA action/adventure games, then WBIE Montreal, the Time Warners division dealing with Batman: Arkham Origins, would like to hear from you. This job advert prompts the question: does WBIE Montreal's interest in finding an expert in next-generation AAA action titles mean a swift next-gen port for Arkham Origins? Or is there something else up WBIE Montreal's sleeve? It's definitely DC related. "This team will be responsible for expanding the DC Comics universe in the interactive space," the advert reads. Whoever gets the post will also be responsible for "evangelizing the game" internally and externally, as well as being its cheerleader in discussions with top WB executives. Phrases like "expanding the DC comics universe" strongly suggest something other than Batman is on WBIE Montreal's mind, and it's not as if there aren't other properties Warner's could exploit. So if you think you have what it takes to work in Warner's DC comics universe, and fancy a shot at becoming WBIE Montreal's latest Creative Director, I hope you've got the necessary next-gen credibility; sounds as though you may need it.